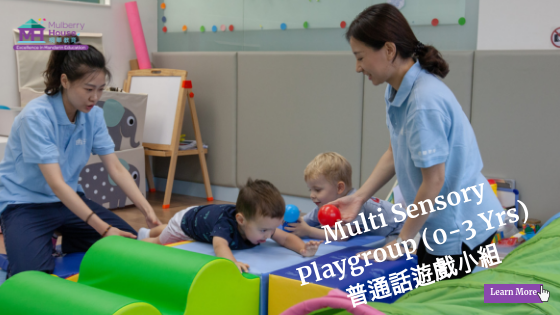 Mulberry House is an Inquiry-Based Mandarin Immersion school, offering Playgroup, Preschool, Primary School and STEAM Enrichment Programs for children from 0-12 Yrs old. Mulberry House was founded in 2015 on the idea that a modern Inquiry-based educational model can be combined with rigorous Mandarin immersion curriculum to create an innovative program raising fully fluent and literate Mandarin speaking children in Hong Kong. With our natural immersion and Inquiry-Based approach, children can build their understanding of the content and skills, and develop full fluency and literacy in Mandarin. Multi-sensory program guided by the leading early childhood learning methodology Reggio Emilia, cultivating children a lifelong passion for learning. As children inquire about the world through their 5 senses, they develop understanding and their language abilities in Mandarin (read more…). Preschool children learn through through 3 trans-disciplinary themes within the IB framework: who we are, where we are in place & time, how we organize ourselves? 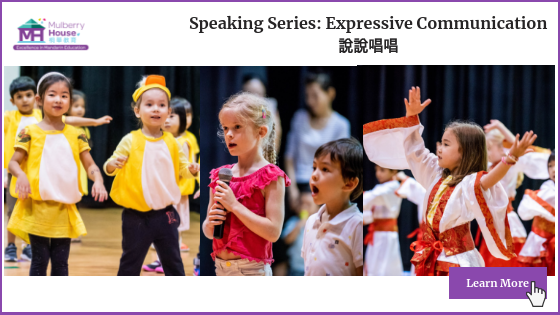 We focus on developing children’s solid foundation in listening, comprehension and verbal communication about the world through Mandarin (read more…). Primary school children learn through 3 trans-disciplinary themes within the IB framework: how we express ourselves, how the world works, and sharing the planet. We focus on developing children’s strong literacy foundation, after children are close to fluent. Speaking series and literacy series are also encouraged based on student’s assessment (read more…). Our Mandarin immersion program addresses the fundamental needs of Hong Kong children, giving them the native environment and engaging Inquiry-Based content to actively learn and become fluent and literate Mandarin speakers. Our Inquiry-Based education allows children to not only become fluent in Mandarin, but also build their understanding of the content and skills through Mandarin. Our small class sizes allow teachers to personalize their teaching for each child, meanwhile providing the perfect balance for social interaction and engagement. Highly qualified and experienced educators, with a wealth of early years teaching experiences (70% with Masters Degrees). Our parents are supported with regular progress reports, parent seminars, immersion field trips and ample digital resources to reinforce learning. Inquiry Based, Reggio Emilia Inspired Mandarin Immersion School for Children 0-8 Yrs.